Raleigh - Family Fun Carolina - Fun At Your Fingertips! 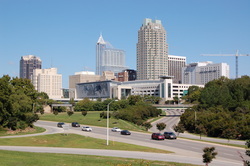 We are located in South Raleigh, North Raleigh, Cary and Erwin, NC. One of our convenient locations will be glad to provide you with Good, Clean Family Entertainment for ALL ages. Our Family Friendly Bowling Facilities are Smoke-Free and Alcohol-Free for everyone to Enjoy! A family owned and operated business. Our inventory is over 1000 different items and is continuing to grow. Make a masterpiece today and take it home! Frankie's of Raleigh serves up Great Rides, Great Food and Great Times. Go-Karts, Miniature Golf, Bumper Boats, Amusement Rides, Laser Tag, Batting Cages and an awesome Arcade are part of our mega mix of fun. We've got it all. Sized up for little kids, big kids and those who still think they're kids. Our state of the art facility ensures he best in-line/roller skating and sound and light show around. We play all new music as well as the oldies. We offer a great quality maple hardwood skate surface,snack bar,exciting video and Redemption Center full of prizes and novelties. Our courteous and professional staff are ready to greet you wih a smile. Jellybeans is great fun for your entire family. The museum park spans 164 acres, and offers children's stage performances, as well as outdoor movies on a big screen. Inside, there are many craft stations and activities to keep your family entertained for hours. PB&J Fun Factory is a retail store that offers toys and games for children of all ages and hosts parties as well. The store also rents inflatables and sells pool tables and equipment, pinball arcade machines, massage chairs and playground equipment. Pump It Up of Raleigh is “The Inflatable Party Zone” in Wake County. Our private indoor arenas are filled with gigantic inflatable bounce houses, slides, jousting arenas and more. Hosting a party at Pump It Up of Raleigh is the easiest party you will ever plan. Crosswinds Cafe is an ideal place to enjoy the wonder of flight. Located in the airport's general aviation terminal, the cafe provides pilots, travelers and airplane enthusiasts with a home-cooked meal and warm atmosphere; along with a panoramic view of airplanes landing and taking off at RDU. Within walking distance of Observation Park, visitors are encouraged to make Crosswinds Cafepart of their RDU experience.